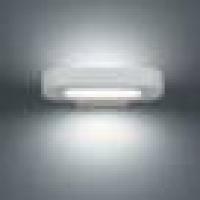 iLamparas.com is the largest lighting online store in the world. We offer over 320,000 products and over 200 different brands. We are also the most popular lighting online store on Facebook with over 16,000 fans and with 37,000 followers on Twitter as well. Moreover, we also make use of all possible types of customer service. We work with the latest technology in order to make your visit on our website as pleasant as possible. We always take care of every single detail in the descriptions of our products, so that you can get all the information you need more easily. We also offer other services such as advice on lighting or special budgets to individuals and professionals. Furthermore, we also offer all possible ways of worldwide delivery. Indeed, our whole webpage is also translated into 6 different languages. Contact us by phone, call toll-free, live chat, Skype or email. Discover how iLamparas.com is the largest lighting online store that has more followers. 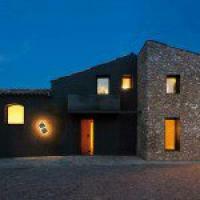 Discover our blog with hundreds of articles and news on lighting and decoration. We are on 6 other social networks. 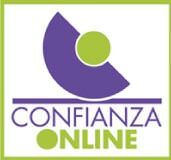 The Seal allows users to distinguish those companies that have decided to voluntarily acquire high levels of ethical commitment and responsibility, showing full transparency for the user, and allowing differentiation against its major competitors.Clicking the Trustmark, users access a specific tab in the web of Confianza Online (www.confianzaonline.es) on the company that carries the seal that is hosted on a secure server page under SSL. In this tab you will find all the legal and company contact information. From this tab also allowed online file claims against the company. On the website of Confianza Online all information on this organization is, especially with regard to ethical standards embodied in the Code. Trusted Shops certified online stores carefully reviewing a set of criteria before granting European quality label. With the combination of the guarantee of refund of the purchase and the system of customer reviews Trusted Shops you can buy online with confidence. Norton Secured Seal is a trust based on security. This Stamp born of the union between VeriSign check mark and the Norton brand.Norton Secured seal ensures browsing and buying safely on the certified web. daily analysis of the website are made for malicious programs and vulnerability detection.Norton Secured seal makes the links stand out in search results on enabled browsers and sites Symantec partners. In addition automatic detection and reporting is used to help prevent search engines and browsers that detect malware blocking access. PayPal is the safer, easier way to pay online. You can easily pay for your purchases with the debit card, credit card or bank account through PayPal, which also securely stores your financial information and protect it with security systems and fraud prevention market leaders. Moreover, its financial details are never shared with the seller. With this service you will not have to enter the details of your card or your bank account to pay. You just need your email address and password. In addition, you choose how to pay: debit card, credit card or bank account. Insights Pagespeed measures the performance of pages for mobile devices and computers. Gets the URL twice, once with a user agent to mobile, and another with a user agent to computers. Ciao Seal of Quality is a distinction designed only to products or services especially prominent. The seal of quality is comparable with Verisign, Trust or AECE online. The only difference is that they are consumers, not Ciao or other institutions, who value their product.